The Gruen Transfer, the ABC (Australia) show focusing on the advertising industry, decided not to run tonight with “Fat Pride”, a pitch put together for an inter-agency competition, “The Pitch”. “Fat Pride” was The Foundry’s response to the challenge of making fat people feel better about themselves in Australia. The TV ad used bad taste jokes exposing discrimination in race, religion, sexuality to show how offensive it is to make decisions about people based on their weight or shape. After being shown at the live filming of The Gruen Transfer, production executives decided that the jokes could be taken the wrong way, out of context, and end up offending people instead of challenging people. The content, therefore, did not fit within the editorial policy of the ABC. The ad, however, is online at www.fatpride.com.au and http://www.antiprejudicead.net. 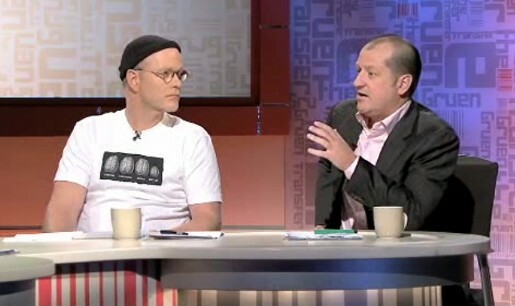 This segment of The Gruen Transfer was scheduled to appear on the ABC-TV program on May 13, 2009. It was not approved for broadcast by the ABC. We are grateful for the ABC’s consent for us to put the material on this website, as it facilitates further debate and discussion. This is a confronting ad. We at Gruen feel that it may be offensive to some people, but we stand by the fact that The Foundry agency made it with a considered and legitimate intent to persuade Australians to reconsider their prejudices. It is clearly an anti-discrimination ad, an argument for tolerance, not divisiveness. As road safety advertisements sometimes use horrific accident images to make a point, so too this ad uses shock to drive home the ugliness of prejudice. 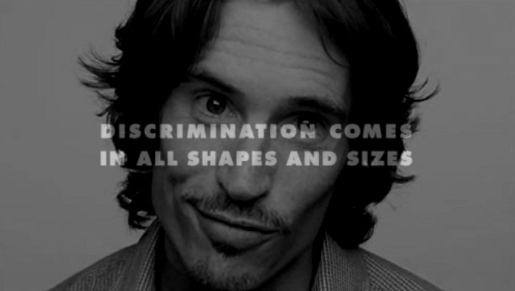 It was made by a highly experienced advertising creative, winner of a Cannes Gold Lion, one of advertising’s greatest honours, for a previous anti-discrimination campaign. As a show about advertising, we feel that it is appropriate for an audience, with fair warning, to consider and judge the ad for itself. And so we are making it available for viewing through this site. To provide a clear context for the ad,The Foundry and JWT agencies were asked to come up with a campaign for the idea of Fat Pride, to end shape discrimination and make overweight Australians feel less humiliated by the constant public disapproval of anyone who isn’t a size 10 or under. The video includes not only The Foundry’s ad, but also a panel discussion with its creator about the reasons for the ad’s approach. If you are likely to be offended by issues of discrimination in race, religion, sexuality or body size, please don’t watch. Take a look at the UN Badmouth TV ad produced by Saatchi & Saatchi for the United Nations. Adam Hunt’s work on the Racist Brain campaign for Saatchi & Saatchi London.